Here’s one of my random posts! My new freezer is awesome but I also tried out my foodsaver for the first time this morning. I got a great deal and am excited to add it to my garage of culinary gizmos. There’s just something about seeing vacuum packed food that makes you feel like you’re in the future! I’m hopeful that the eggs will stay yellow with the air being sucked out. I’ve had bad luck with freezing eggs. They get kind of gray and gross. It makes cooking breakfast in advance hard and I hate cooking breakfast. The limes and peppers are leftover from my last bountiful basket. I hope to use them for salsa and hopefully there will be tomatoes in the next basket, which I am getting on Saturday! My friends Erin and Kate are splitting 2 baskets with me. Oh la la! It is really exciting to wonder what you are going to get and everything has been so delicious the anticipation is palatable! 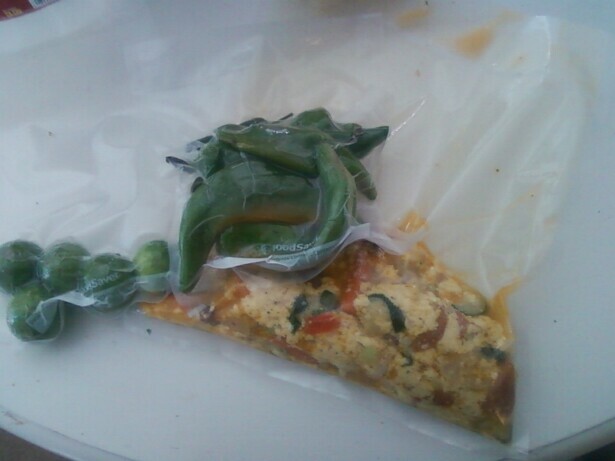 (Using the foodsaver and freezer supposedly food can last for 2 years! This should save me a lot of money throwing away uneaten food). I have mentioned it a few times but in recent years I have become a fan of essential oils, particularly from Doterra because their oils are not merely aromatic. They help me with my pain, ward off illness and even boost my mood. I used to have a roommate who was super into essential oils and it drove me crazy so I will spare you a spiel. I just wanted to share a new idea my friend Jill told me about. With a low thyroid I get dehydrated more quickly so I have to focus on drinking lots of water. 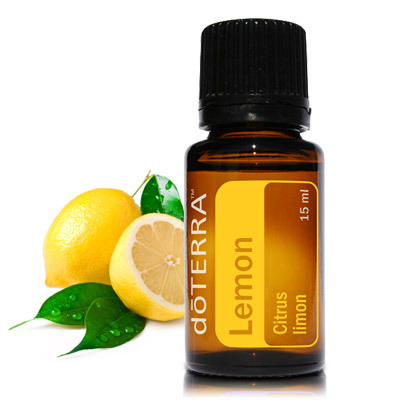 My new trick is to put Doterra lemon/lime oil in my water and it is sooooo good! Its so much better than a wedge of lemon or lime. Its sweeter and less bitter than you’d expect. Its really delicious. On a related note I have found a rub for muscle relief I love. Its called Badger Sore Muscle Rub. It’s one of the only muscle rubs I’ve tried without menthol which provides mostly placebo relief. Essential oils are great but sometimes too strong for use in public. Badger rub provides relief but it smells nice and lemony, not overpowering. The little container goes a long way and at $10 its a great price! I could easily wear this to work or around town and nobody would notice anything offensive. Its a wonder product!